Brian Garrett, aged 76, of Fernbrook Farm, Gillingham Road was prosecuted following an investigation by trading standards officers from Dorset County Council. Officers visited Mr Garrett’s farm on 4 July 2017 to inspected his cattle. When they returned to the farm three days later they noted that several of these cattle were no longer on the farm. When questioned, Garrett declined to say where the cattle had gone. 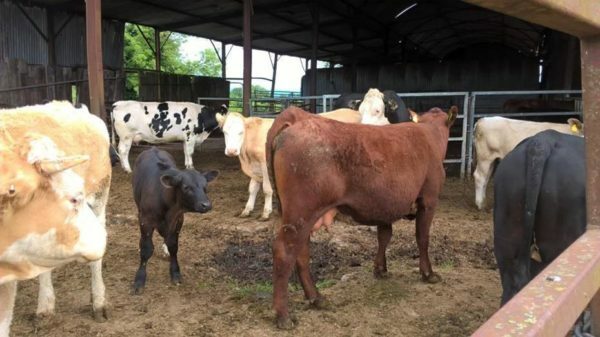 Mr Garrett appeared before Weymouth Magistrates’ Court on Monday 4 February and pleaded guilty to six offences under the Cattle Identification Regulations 2007. The Court heard that Mr Garrett’s farm was inspected by the Rural Payment Agency in 2014 who found some serious discrepancies in his calf record keeping. As a result of this they requested the return of a number of calf passports. Mr Garrett continually refused and so in 2016 he was served a notice restricting the movement of all cattle onto or off the farm.